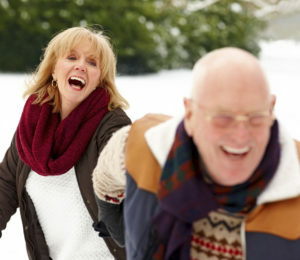 During the day our spine is heavily encumbered, every movement of the human body needs the support of at least one part of the spine. Therefore it is important that your vertebral column adopts a natural posture during your sleep. When you’re laying on your side the spine should form a straight line, just like when you’re standing up straight. 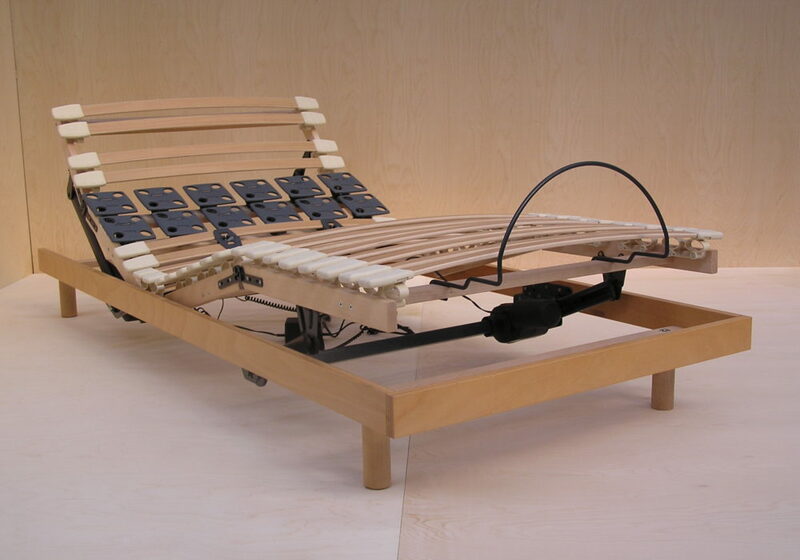 That is only possible if the mattress and slatted frame collaborate well. 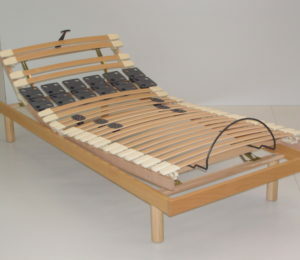 As many as 24 beech wood slats, and 12 rotating plates, divided into 7 zones form the basis of the Matratex bed frames. Hung in a 24 mm thick laminated beech wood frame they provide an ideal counter pressure for the mattress laying on top of it. Very strong of course, but also resilient, adjustable according to the latest techniques and treated with a moisture-resistant melamine resin. The slats are suspended in surface mounted rubber caps, with a non-slip profile in TPE, a wear-resistant material that can not mortify or pulverize. The shoulder zone consists of 10 rotating plates using the variofit system. 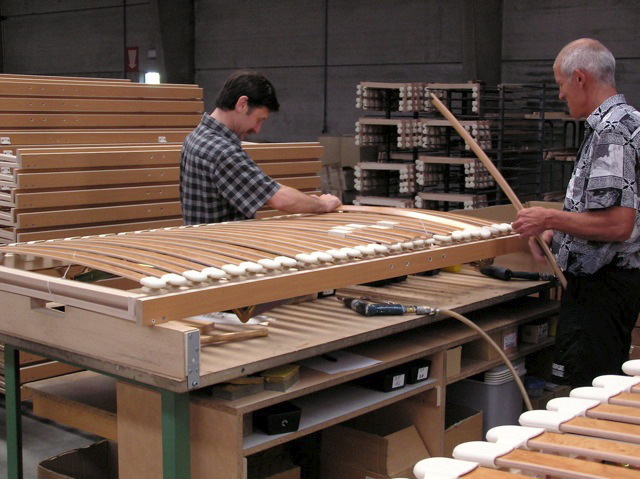 On top of that, the slats are mounted above the frame to make sure that they are connected when two bases are used next to one another. Because of this, you will not feel a hard piece in the middle. 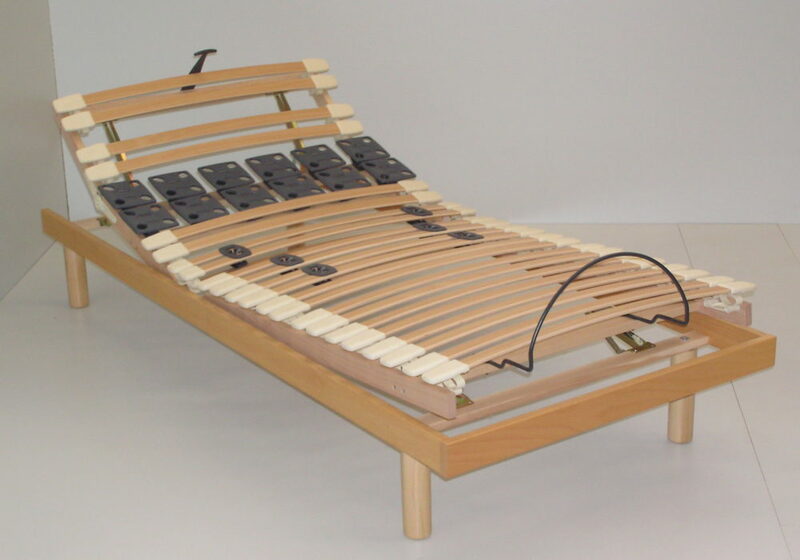 Our bed frames are available in a static, manually adjustable or electrical version. 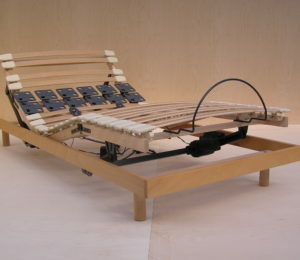 The motorized bed bases can be adjusted by means of 2 motors. The mains voltage of 220 V is only at the power supply unit which transforms the current flow to the bed to only 24 V. Therefore no magnetic field is created and there are no negative effects upon your health. The motorized slatted bed bases are equipped with a power supply unit with emergency release which allows the end consumer to return his bed into the zero position in case of a power failure. He does not have to wait until power is restored. 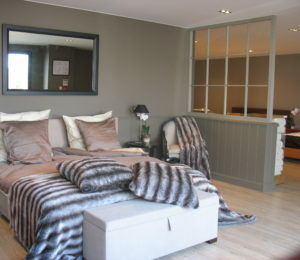 The slatted bed base can be placed in any existing bedstead, also exceptional sizes are possible. Moreover, you can also use the slatted base without conversion, there are beech wood legs in different heights, including comfort height so you can put the bottom(s) down by itself. 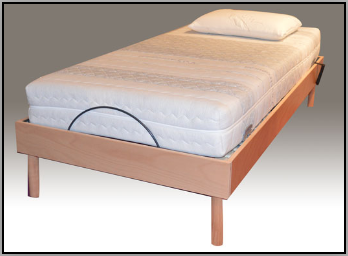 Our bed frames fit perfectly into our bed Biarritz, but also your standard base fits in our Biarritz bed. For the standard model of the electric slatted bed base, you can obtain a wireless controller.